1. Why Do You Need to Practice Blackjack Online? How Do Dealers Identify Card Counters? In this article, I am going to show you how to get $100,000 in play money to practice online blackjack for free and how to use the basic strategy to win your games. Change your success-rate forever. Learn how to use the best free tables to practice blackjack online and win real money! Knowing how to apply the basic blackjack strategy is great. But what can you do to get better at the game? …and I believe they are right. That's why today I am going to share with you some exciting tips to practice blackjack online and increase the success rate of your games. 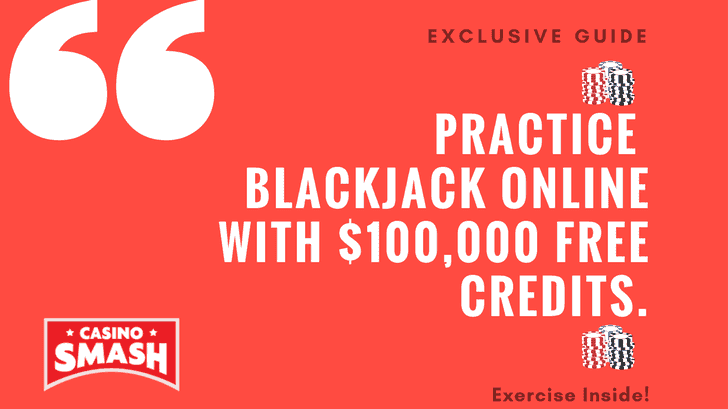 This article features an how-to guide to getting $100,000 in free credits to play as well as some useful tips to win at blackjack and an exercise about the game's basic strategy. Do yourself a favor: do not skip the exercise. Even if it will take you more than 15 minutes to complete. Note: this article focuses on real money blackjack games. I will not offer you any third-party or self-developed blackjack trainer software to practice blackjack online because I want you to train on the very same platform you will put your money on. We all love a good game of blackjack, especially when we leave the table in the black. When things don't go well at slots, and I see my bankroll down to alarming lows, I hit the blackjack tables because I know that's where I have more chances to make money. Slots are fun, but blackjack is more than just that. Blackjack is work - blackjack is where the money is. …and I lost a lot, too. It takes a lot of practice to master the game of blackjack and to understand when to hit, stand, double, or just go home and think about the mistakes you made. And online casinos make it super-easy. Imagine you wanted to practice blackjack at the brick-and-mortar casino next door. How would you approach the dealer and ask him to let you play for free for one or two hours…just so you can win more? To practice blackjack at a live casino, you need to set up at least $100 per session. That's not including transportation, drinks, and meals - if you don't like to play on an empty stomach. On the internet, you can practice blackjack online for close to nothing at a great casino if you learn how to combine their welcome bonus with your first deposit. I do all my online blackjack practice on Jackpot City. I am sure I have mentioned this casino already in some of my articles but, in case you are not familiar with their platform, let me tell you something about them. Jackpot City is one of the oldest names in online gambling. Launched back in 1998, this casino operator is one of the most respected and popular names in the industry - and that's exactly what I like for my blackjack games. 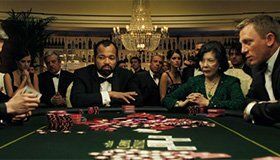 While I am open to trying new online casinos to play the latest slots, I prefer to have a more traditional approach when it comes to blackjack. Others, like my dear friend Sarah Hamid who once wrote this article about the best blackjack sites, have a slightly less conservative approach. But, as I said, I play blackjack to win money - so I need a casino that is a) reliable, b) trusted, and c) with fast payouts. And Jackpot City offers all this. 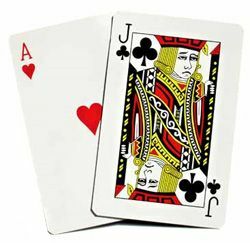 The site features thirty blackjack variants, and you can use all of them to practice blackjack online for free. 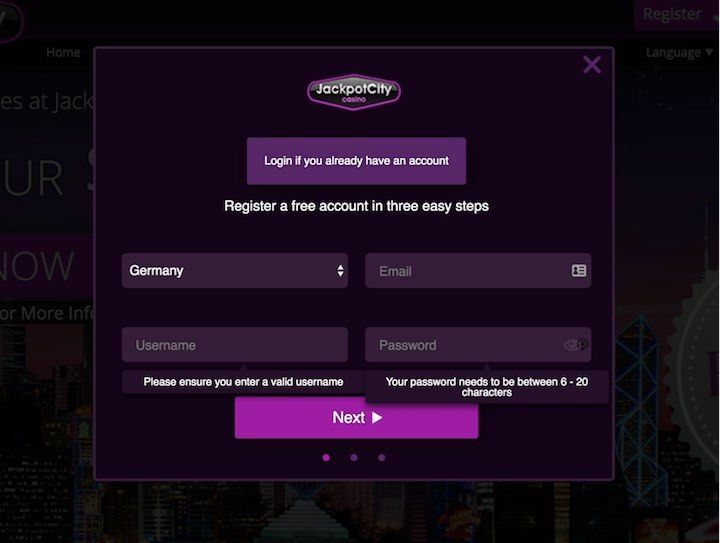 If you don't have an account at Jackpot City, click on the game you want to play to get one for free. No deposit or credit card required. Important Note: I recommend to start from the Classic Blackjack (here) or the Classic Blackjack Multi-Hand games (here) to practice blackjack online. You need to become very good at the basic version of the game before you can risk your money on a lesser-known variant. Here's how you can access the free games to practice online blackjack for free at Jackpot City. Visit this page to sign up for a free account and click on the "Play Now" button. Follow the instructions on the screen to continue. Once your account is set, log in with your username and password and click on "Blackjack" to access the online blackjack section. Click on "More Games" and scroll down until you see the Classic Blackjack variant appear on the screen. Move the mouse over the game's icon and select "Demo". At this point, you get a $100,000 free bankroll to practice blackjack online at a table where the minimum bet is of $10. In most cases, $100,000 is more than you will ever spend on casinos games. That's why this is a great opportunity for you. At Jackpot City you get a larger-than-life bankroll to practice and learn how to play blackjack online so that you can turn your real money games into profit. Try to forget you are on a demo account. The only way to practice online blackjack and become a winning player is to take things seriously. Even when you play for free. I am not going through the basics of the game here. If you are not 100 percent sure about the way this game works, please refer to this page about the rules of blackjack. The first step to get the most out of your bankroll is to read this article about the best blackjack strategy and put everything into practice. Calling all online blackjack lovers! This extensive guide on the best online casinos for real money blackjack covers everything you need to know from variety of games to payout conditions of the best online casinos on the market. A. Keep your bets at $10. 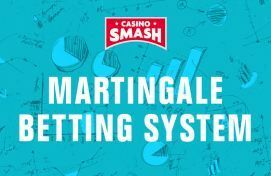 You don't need to become a play money millionaire, so you don't need to use any sophisticated betting strategies. In the game's jargon, this is called Flat Betting. Pro players don't like it - but we are not here to become play money pros. We are here to practice and learn how to win. B. Always Hit if you have less than nine points. You are not going to win with a nine-point hand, so go ahead and ask the dealer to give you at least one more card. C. Always Stand from 17 or more. If you get 17+ points, you want to push the dealer to go bust so - stand and wait. D. Use the Basic Strategy Chart. Look at the chart below and use it to decide the way to play your hand of blackjack. The best way to practice online blackjack is to adhere to this chart for at least one full hour of play. Now that you know how the chart works and looks like, you need to memorize it. I want you to learn it by heart. Not only because you need to make sure you know what's the best way to play every single hand of blackjack, but because I am going to give you an exercise to practice even more. While you play, I want you to write down all the problematic hands you are not sure about. Are you not sure if to hit or an 11 vs. 9? Did you go back to the chart to understand whether you should split 99 vs. 7? Write down all your mistakes too. The only way to learn the basic strategy of blackjack is to know what are your most common mistakes and use your free practice sessions to correct them. Note: To complete this exercise, you are going to need a printer, a pencil, and an eraser…or a PDF reader. At this point, I expect you to be almost a blackjack pro already. Steps like these would cost you a fortune if you had to learn everything on real money games. This exercise shouldn't take you more than 15 minutes to complete. If it took you more than 15 minutes to complete the chart or if you did not guess more than 75 percent of the correct answers - you are not ready to play for real money. You need to practice online for free for a bit more and do the exercise once again. If you got more than 75 percent of correct answers in 15 minutes or less, you are ready to hit the strategy videos on YouTube. Doing this earlier is a mistake. If you watch blackjack strategy videos before you know everything about the basic strategy and you have practiced online - you are likely to follow some terrible advice. And to lose a lot of money, too. To make things easier for you, I am going to list here my top five blackjack videos. These are clips I think everyone who is interested in some blackjack practice should watch. Now that you completed your journey through all the stages, it's time to move to real money play. Since you practiced online blackjack at the Classic Blackjack table, you want to choose this very specific variant of the game for your first real money games. Obviously, you are not going to have a bankroll of $100,000 - so you are going to need to be super careful when you bet your hard-earned cash if you don't want to finish in the red. Jackpot City helps you quite a bit to build your initial bankroll since they match your first deposits with bonus money for up to $1,600 (You can read more about the bonus here). Once at the tables, always choose limits you can afford, follow the basic principles of bankroll management, and don't play if you feel tired. For any further info about online blackjack practice sessions or in case you have any questions for me, you can reach me through the contacts listed on this page, or just send me a tweet @CasinoSmash or @GiovanniAngioni.